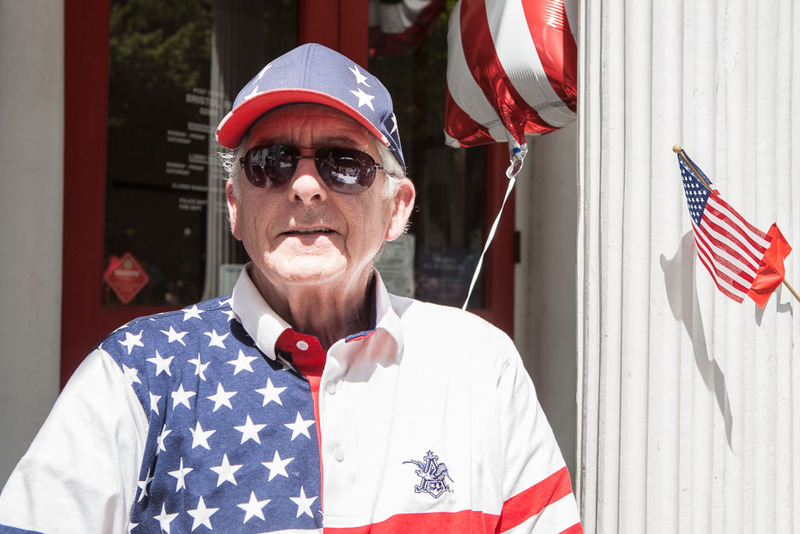 A man wearing red, white and blue wwatching the Fourth of July parde, Brisol, Rhode Island. 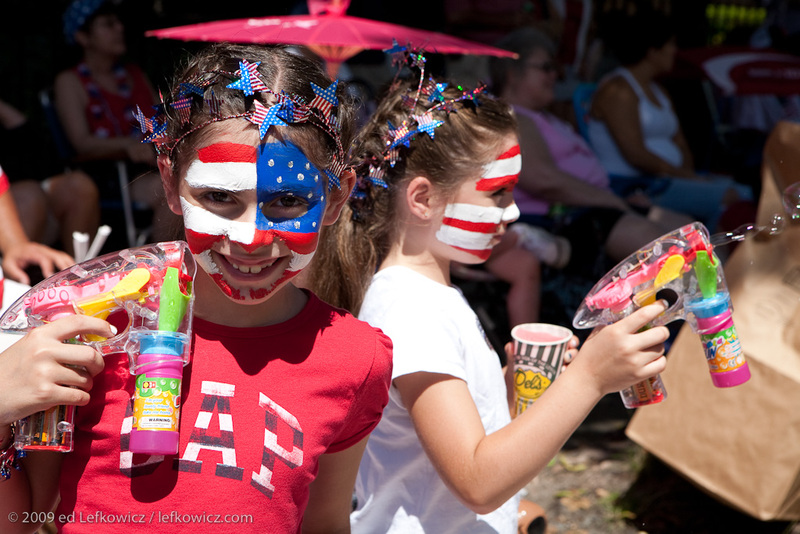 Bristol’s Fourth of July celebration, founded in 1785, is the oldest continuous Independence Day celebration in the U.S.
Well, it’s that time of year again, when folks here in the US celebrate Independence Day. Rhode Island, settled by dissident Roger Williams, celebrates diversity; and the approaches to that celebration are themselves diverse. Rhode Island of course has parades. 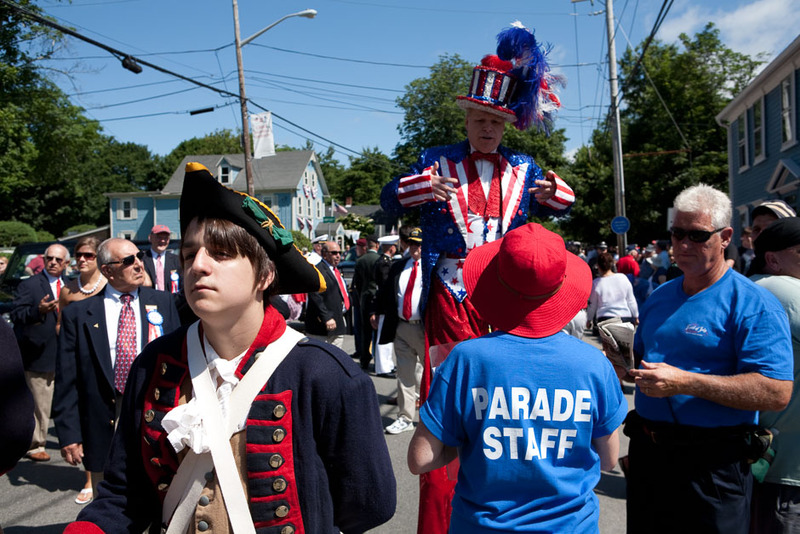 But unlike most places in the U.S., the parades here fall into two general categories. The ultra-traditional, as evidenced in the red-white-and-bluer than thou parade in Bristol (also the oldest continuous Fourth of July parade in the U.S., as Bristolians are quick to point out). 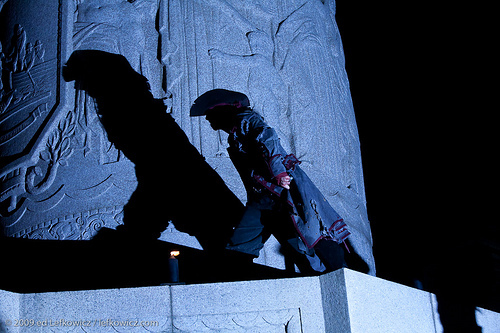 Yet a third way RI often celebrates the Fourth is at Waterfire, an installation founded and continued by Barnaby Evans, in and along the river in downtown Providence. To go to Waterfire is a transforming experience: it’s large, it’s mellow, and it attracts an absolute cross-section of humanity. And, yes, real fire is involved. I’m pretty much a people photographer, I like to shoot in the streets, and there are few opportunities riper for people photography than parades and public celebrations. So I recommend that you go a celebration this Fourth of July, that you bring a camera, and that you aim the camera at the crowd at least as often as at the parade itself. And just click here for more photos of the Fourth of July in Rhode Island.